Starting a small business is not an easy task. It requires a ton of hard work, dedication, and focus. 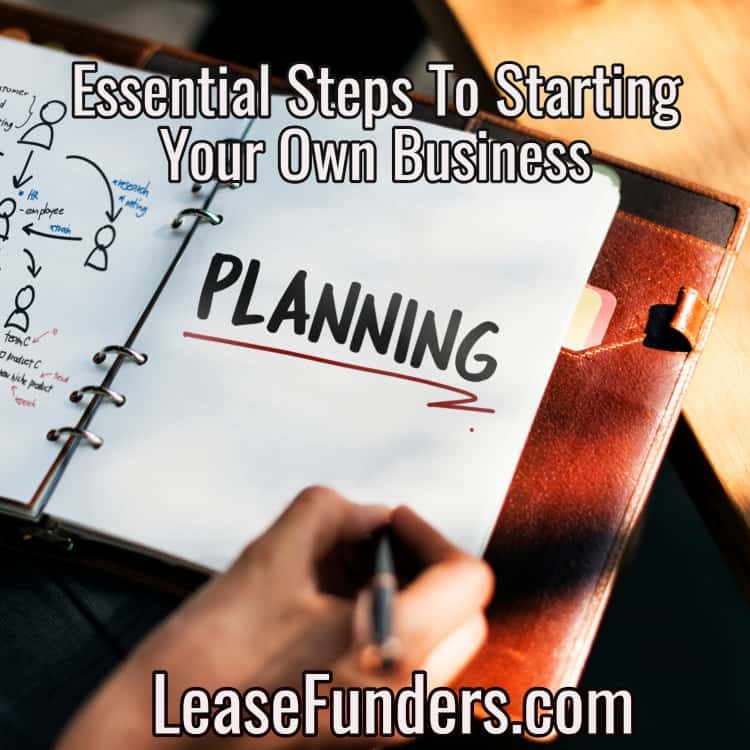 For many, it may be difficult to get started, but keeping in mind the very basic requirements, you can start to plan out and put into action your own business plan! First and foremost, you must decide on WHAT you want to do. Do you have a product or service that you feel could help someone? If so, who? Why is there a need for your product or service? What makes it different from what is currently on the market? Have you found an under serviced niche? For those without an idea already, it’s time to really test the waters with what you’re passionate about. For those with an idea of where their specialties and connections lie, a business opportunity is likely to present itself to you over time. The name should represent the company in a professional and positive light. This may be the most fun you’ll have during startup! 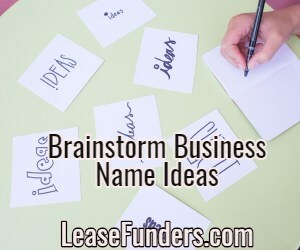 Brainstorm and remember that your URL doesn’t always have to be your business name. A lot of people think of a name and they won’t commit to that name unless they can get a matching domain. When choosing a domain, you want something easy to spell and easy to remember. I always tell my coaching clients to think descriptive and brandable. If you can, you want to stay with a .com but those are getting harder and harder to get. You never want to get the .net or .org of a domain name because your competition has the .com. Your brand is what your clients will remember you by. So don’t take it lightly. If you can, you may want to hire a professional company to help you create the right brand. Once you’ve located the type of business you hope to open, it’s time to put together a business plan. 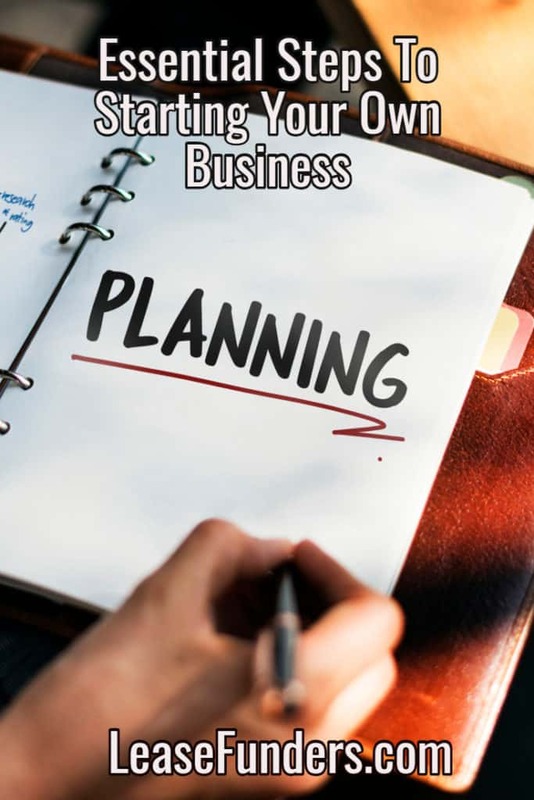 A business plan should prove why your idea will work, and it will be a major requirement when seeking that business financing. A proper business plan is a must for the next step, so don’t skimp here. If needed, find outside help to improve it. Whatever business you decide on, you have to make sure you do your market research. What good is a product that no one buys? How much is your competition charging for the same/similar product or service? Have you done your homework that proves your idea is at least viable? 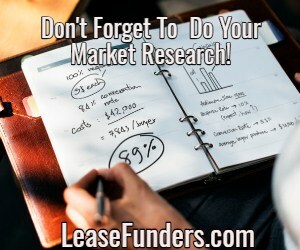 Market research will help you avoid spending all your startup business financing on a service or product that people won’t buy or are losing interest in. Next, you have to get financed. This can be through your own assets, loans, or investments. This is where your business plan and all the homework you’ve done will come in handy if you need outside investors or loans. Approval – not all banks will approve someone with bad credit. You are seriously reducing your chances of getting approved. The amount you qualify for – the lower your credit score, the lower the funding amount will be for your loan. Why? Most banks want to see how you will handle the repayment before they lend a large amount to someone with bad credit. 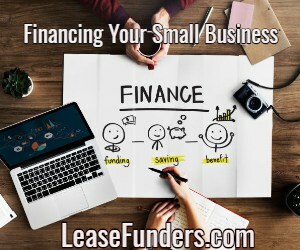 Unsecured financing – there are very few banks that will provide unsecured lines of credit to a startup business with bad credit. There are ways though. But usually, it’s thru alternative financing methods like factoring and business cash advances (which require 3 months time in business). 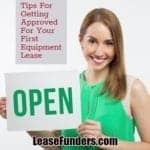 Although finding financing for your equipment as a startup is much easier than looking for working capital or unsecured funds. 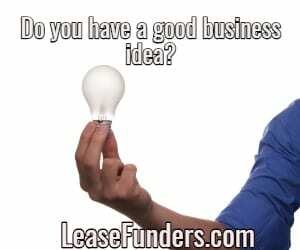 That’s because equipment leasing has very flexible credit requirements. But it can ONLY be used to buy equipment for your business. 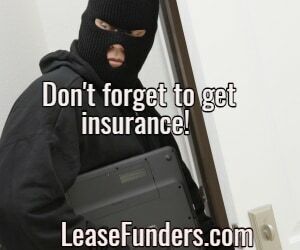 Also, you don’t want to open your doors until you have the financing needed. 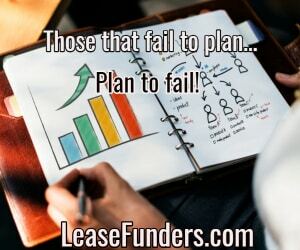 Too many clients contact us, desperate for anything we can help them with because they didn’t calculate correctly how much financing they would need. This is a situation you don’t want to find yourself in. Location, location, location! it’s not just important when buying a home! 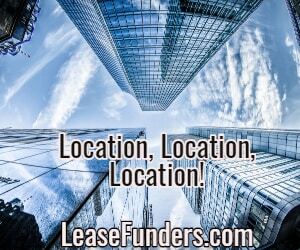 Once you’ve secured those required documents and licenses, it’s important to find a great location for your business. But don’t jump into signing a contract too soon. Really think about whether you NEED an office or just WANT an office. Its easier than ever to set up a professional office at home. And well, let’s face it. It’s MUCH cheaper! Depending on the business, location can be the difference between making and breaking the bank. Will you work at home? Do you need a retail location? If you have clients that will be coming to your location often, I suggest you open an office outside of your home. In this day and age, it’s not as safe as it once was to have strangers coming to your home. If they only come once and while consider signing up for a shared office. A nationwide company that offers this service is Regus. You can get a dedicated office, a shared office where you get X amount of hours each month in one of their furnished offices, or just X amount of conference room hours. This sort of setup makes your business look very professional!. Also, they will usually offer receptionist service, mail handling, and various other services. Regus is worldwide. And on some of their plans, you can use offices anywhere in their network. But when we take on a new consultant, we start them out in a shared office space. We look for similar companies but run by small local companies. They tend to give us a better deal and more services than Regus. A lot of people don’t think about insurance until its too late. When we opened our office in Vegas, we had just finished moving into the building and a week later the office was robbed. Since we had been home-based previously, we hadn’t gotten around to getting office insurance. Thank God we had purchased everything for the new office using our American Express business credit card. They carry insurance for the first 30 days after you buy something and we were able to recoup almost all our money on the items. If you are working from home, you just need to call your home insurance provider and have them add your home office equipment to your policy. When you start your own business, you end up wearing a lot of hats. But you can’t do it all yourself. 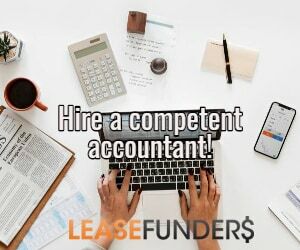 If you are good with numbers, then you maybe able to manage your books the first few years, but once your business is making a bit of money you will want to invest in hiring an accountant. You must keep your books in order. Having a solid accounting system in place is going to help you gauge the rate of success you have, provide evidence to potential investors that your business is viable, and keep you from overspending. Additionally, it will make tax time a lot easier, and should the IRS ever try to audit your business, you’ll be prepared with detailed accounts of everything from your startup business financing to the last two dollar item you sold. You will also want to look into having a lawyer on retainer. You never know when you will need legal help and is best to have it available immediately when the need arises. While a lot more than this goes into running a business, taking care of the essentials and doing a good job putting systems into place will make the rest of the experience go much smoother. It’ll never be easy to start a new business, but you’ll be much less stressed if you understand where you stand. 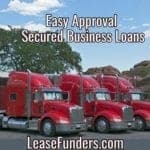 ← Are Secured Business Loans ONLY For Business Owners With Bad Credit?